Current transformers (CTs) are used in all electrical power systems for metering and protection applications. These devices reproduce analog secondary current (Is) proportional to the current in the primary system. 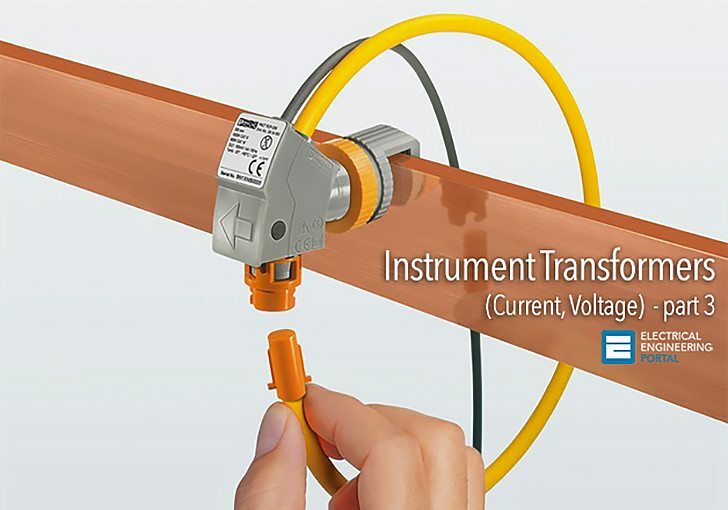 Various types of current transformers are used which are classified based on the accuracy requirement as metering class and protective class (otherwise known as measuring and relaying CTs). These CTs are known to introduce two types of errors namely ratio (current) error and phase displacement. These errors are in almost all cases are not introduced intentionally. In a CT designed based on induction, some part of primary AT (ampere-turn) is used as exciting AT to initiate polarization (reorientation of) of magnetic domains in an iron core CT (or transforming the electromagnetic field energy from primary to the secondary circuit). Some amount of the energy is lost as eddy current heat loss (eddy currents that flow in the metallic body in response to varying ac flux cutting it in a plane perpendicular to it or a component in that plane), some energy is consumed as hysteresis loss (in rotating polarity of the magnetic domains every ½ cycle resulting in some sort of loss analogous to friction) and some AT is consumed in magnetizing the core. where Np is number of turns of primary which the core encloses) called an exciting AT (which is represented as Ie x Np; where Ie is exciting current). This exciting AT is therefore made of two perpendicular components one Iw x NP (watt loss AT made of eddy current and hysteresis losses) and Im x NP (magnetizing AT). Therefore, of the total MMF (magneto-motive force) of Ip x NP net available for transformation is (Ip x NP Ie x NP). This will be used to transform to secondary AT (IsxNs). AS we recall, for an Ideal CT: we have equation Ip x Np = Is x Ns. For a practical CT we have equation (Ip x Np – Ie x NP)=Is x Ns. The ratio error is due to the magnitude of Ie and the phase displacement occurs due to the error triangle formed between Ie, Iw & Im.